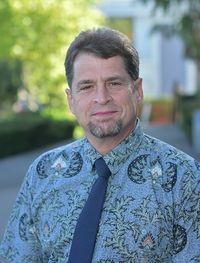 Founder of the Northwest Creation Network. Founder and the CreationWiki and Senior Administrator. Organizes the annual Seattle Creation Conference. Publishes in peer reviewed journals. Volunteers as the webmaster for several creation science organizations. Lectures occasionally on general and advanced creation science topics before interested groups, and is available to speak upon request. Esta página fue modificada por última vez el 23 sep 2007 a las 23:24.